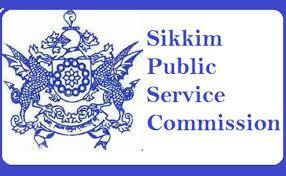 Sikkim PSC Recruitment 2019: The SPSC (Sikkim Public Service Commission) has recently issued an advertisement for the recruitment of talented & eligible candidates in various Paramedical posts is below-mentioned posts in the Sikkim Subordinate Allied and Healthcare Service under Human Service, Health Care, Family Welfare Department, & Govt. of Sikkim. The total vacancies of Sikkim PSC Recruitment 2019 for Paramedical posts are 308. As per the official notification, the date for the submission of the application will run till 05. Apr. 2019. So every talented, eligible and interested candidate, without any delay, should start filling the application form before passing of the applying date. The mode of the application filing is kept online. So for the convenience in filing the application before the ending date, we in our blog have clearly mentioned all the necessary information is given in the official notification and is needed during filing the application for applying in the Sikkim PSC Recruitment 2019. Type of Job Of State Govt. For all these below mentioned posts candidates, in general, should have qualification up to 12th Standard/Graduation/Post-Graduation/Diploma or its equivalent from any recognized University/Institute. Candidates should have a passing qualification in minimum up to Class XII along with minimum Diploma in ‘Hospital Administration’ from any recognized University or Institute in India. Candidate should have a passing qualification in minimum up to class 12th (Science Stream) from any recognized Board along with Diploma in Operation Theatre Technology for a minimum period of 02 years from any recognized Institute or University in India. Candidates should have passing qualification up to class XII (Science Stream) from any recognized Board/institute along with Diploma in Dental Mechanic/Dental Technician for a minimum period of 02 years from any recognized Institute/University in India. Candidates should have a passing qualification in minimum up to Class XII (Science) from any recognized Board/institute along with Diploma in Dental Hygiene for a minimum period of 02 years from any recognized Institute. Candidates should have a passing qualification in a minimum of class XII (Science) from any recognized Board/Institute along with Diploma in Haemodialysis Technology for a minimum of 02 years from any recognized Institute/University in India. Candidates should have a minimum qualification up to Bachelor of Science with ‘Physics’ as a compulsory subject from any authorized University along with Diploma in Medical Physics for a period of 02 years from any recognized Institute or in Master of Science from any recognized University. Candidates need to have a minimum passing qualification of up to class XII (Science Stream) from any recognized Board/Institute along with Diploma in Trauma Emergency and Disaster Management for a minimum period of 02 years from any recognized Institute/University in India. Candidates need to have a Bachelor Degree in Forensic Science from any recognized University/Institute in India. Should have a Bachelor in Audiology & Speech Language Pathology (BASLP) from any recognized University/Institute under the approval of Rehabilitation Council of India (ROI). Should have a Master Degree in Psychology from any recognized university/Institute in India. Should have a minimum qualification of class-XII from any recognized Board along with the training certificate on Vector Borne disease control program. Should have a minimum qualification of class XII (Science Stream) from any recognized University/Institute along with Diploma in Medical record Technology for the minimum period of 02 years from any recognized Institute/University in India. Should have a Graduation Degree from any recognized University/Institute along with minimum qualification of the Post Graduate Diploma in Health Promotion & Educational Course from any recognized University/Institute. Candidates are required to have a Bachelor Degree in Science along with minimum Diploma in Public Health & Sanitation from any recognized Institute/University in India. Should have Diploma in Pharmacy from any recognized Institute under Pharmacy Council of India/State Pharmacy Council and from the registration as Pharmacist with State Pharmacy Council. Should have a Bachelor of Science in the subject of Radio Therapy Technology from any recognized Institute/University in India. Candidates should have passing qualification up to class 12th (Science Stream) from any recognized Board/Institute along with Diploma in Radio Imaging Technology for a minimum period of 02 years from any recognized Institutes in India. Candidates should have a class 12th qualification (Science) from any recognized Board along with Diploma in ECG Technology for minimum 02 years from any recognized University/Institute in India. Should have a minimum qualification up to class 12th (Science Stream) from any recognized Board along with Diploma in Medical Laboratory Technology for a minimum period of 02 years from any recognized Institute/University in India. Should have B.Sc. in Optometric from any recognized University/Institute in India. Should have B.Sc. in Ortho Optometric from any recognized University/Institute in India. Should have B.Sc. in Ophthalmology from any recognized University/Institute in India. Should have a minimum qualification of Class-XII (Science Stream) from a recognized Board/University along with Diploma in PMDA for a minimum period of 02 years from any recognized University/Institutes in India. Candidates should have a minimum qualification of Class-XII (Science Stream) from any recognized Board/Institute along with Diploma in Electro Encephalograph Technology for a minimum period of 02 years from any recognized University/Institute in India. Should have B.Sc. with Entomology from any authorized University/Institute in India. Is required to have Bachelor in Physiotherapy from any authorized University/Institute in India. Should have Bachelor in Science (Honours) ‘Food & Nutrition’ from any authorized University/institute along with Post-Graduation Diploma in Dietetics and Applied Nutrition from any authorized University/Institutes in India. Should have a Master Degree in Clinical Psychology from any recognized University/institute. Candidates are required to have a Bachelor in Science (Home Science) from any authorized University/Institute in India. Age limit of the applying candidates should be in minimum 21 years & in maximum have to be 40 years. Payment shall be via Online by Debit Card/Credit Card/Net Banking. Step-2: Then, click on option link of -> ‘Recruitments’. Step-3: Here look for the correct notification link of the “ADVERTISEMENT FOR FILLING UP OF VARIOUS PARAMEDICAL POSTS IN SIKKIM SUBORDINATE ALLIED AND HEALTHCARE SERVICE” on finding open it. Step-4: Here, read the complete notification properly to check your eligibility for the Sikkim PSC Recruitment 2019. Step-5: After reading every given guideline in details and required qualifications carefully, eligible candidates have to start filing all the mandatory details of online registration form along with it have to upload necessary documents. Step-6: At last, have to submit the application through online mode only along with online payment till the last date. And also have to take the printout of the submitting application and payment for future use.